It was a nice place with friendly staff. A nice location too! Good location, nice, friendly staff, good breakfast. Clean. The only problem which wasn't the hotels, was the construction next door, hard to sleep in. Nice place to stay! Clean and courteous! Great for safety and convenience! Hotel was really clean, staff were wonderful. Pool is pretty awesome. My boys really loved it. So you're considering a holiday to Falkville? If you want a place to lay your head that's located close to Falkville attractions, use Orbitz to pick your travel dates, and then presto! Look through the list of hotels and other accommodations to find those that are close to what you want to see. There are 32 accommodations to pick from within the larger area if you can't find the ideal place to stay in Falkville. Search by filters such as price, neighborhood, guest rating, or popular locations, depending on what's most important to you. We make it easy to find a convenient flight into Huntsville, AL (HSV-Huntsville Intl. ), which is 23.2 mi (37.3 km) from the heart of the city. Find the ideal flight in a flash by using the filters on our site to narrow down your search. 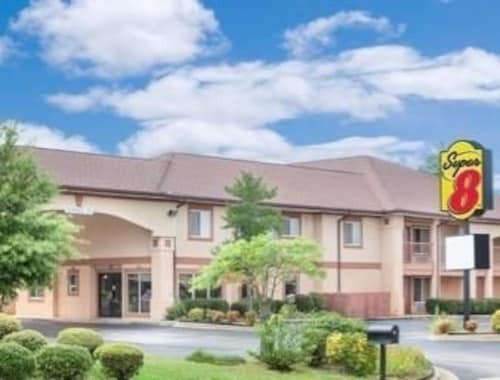 There might be just a few hotels and accommodations to choose from in Falkville, but here some other options located nearby so you have some choices. What's the Weather Like in Falkville? 2 days ago by A verified traveler from Daphne,Al. Clean, affordable, and is in an excellent location just off the highway. Super fast check in,Friendly staff,Evening snacks,Very nice fire pit, Close to shopping and restaurants,Nice water views,Super comfortable beds,Spacious rooms, Hot breakfast in the morning,Very quiet a night. 5 stars.